We can hardly believe that Woman has been at our fabulous new Nelson spa premises for over a month! Our surroundings may have changed, but our wonderfully relaxing treatments and fabulous team remain the same! All that said, we thought it was time to reacquaint you with our crew. 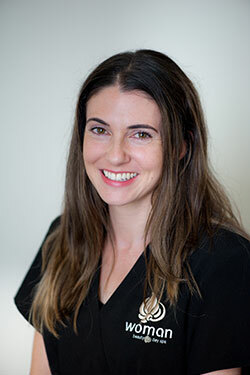 We think it’s important that you get to know us all, that way you can feel comfortable that you’re selecting the right Woman Beauty Nelson spa therapist when you book your next treatment. You all know Delene, right? She’s the boss! And while she’s in charge of the overall business, she’s still very much a ‘hands-on’ therapist. Delene practices pretty much all of the advanced treatments we offer at our Nelson spa, but especially enjoys nail treatments and waxing. When she’s not here, you’ll find her out walking with her spoodle, Roxy, or with her nose in a good book. We call Bridgette, back up Bridgette, because she’s Delene’s second in charge. 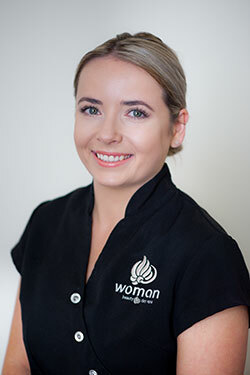 Bridgette has been part of the team for a while, so she too offers all of the treatments we carry out at Woman. But, she specialises in facials and skincare prescriptions. Our Bridgette is an active gal, so when she’s not working you might find her in the gym or enjoying the great outdoors! If you need to take the weight off your feet, then Holly is the woman for you! She specialises in foot reflexology. But she too carries out all of our fabulous treatments, from waxing and facials to spa treatments. Holly is all about whanau, so when she’s not looking after her family of Woman clients or crew, she’s spending time with her actual family! 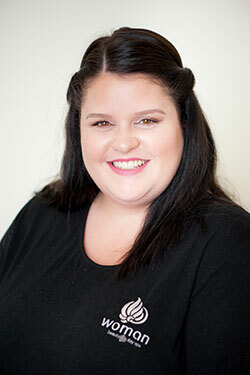 Hayley believes in a holistic approach to beauty therapy, incorporating the mind, body and soul. 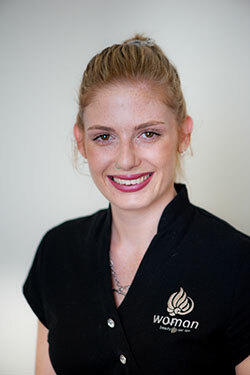 She’ll make sure you leave our new Nelson Spa feeling rested, relaxed and stress-free. She loves spending time among nature, so when she’s not here you’ll find her biking, tramping, kayaking or enjoying time in the Marlborough Sounds with her friends, family and dog! Pip is one of our receptionists, and also one of the first people that you’ll meet when you walk through the door or call us on the phone. She’s super organised! And will always do her best to fit you in when you need a little escape! We like to call her ‘chief of happiness’, and she lives up to the name! Out of work you’ll find her keeping fit, through walking, biking or pole fitness. Stacey is also a receptionist, but don’t be surprised if she greets you in a treatment room, because she’s also a spa therapist. She loves helping you feel pampered and relaxed. If she’s not working, you’ll find Stacey exploring and enjoying everything our beautiful Nelson region has to offer. Golden Bay is a favourite with her and her children! 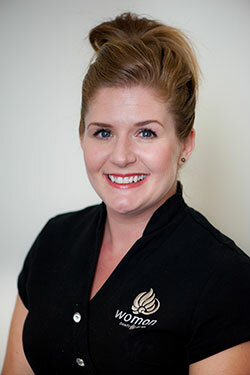 If you need to put your best face forward, then speak to Lauren. She loves working with makeup and knows our Jane Iredale range inside out. 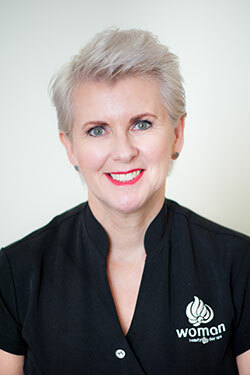 She can also make sure you’re super relaxed, specialising in massage, manicure, pedicures and spa facials. Our Lauren is another family girl, and when she’s not looking after you, she’ll be spending time with those close to her. 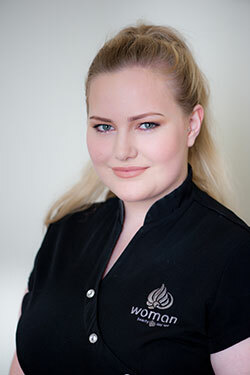 Anja is one of our newest team members, but if you’ve been lucky enough to book an appointment with her, you’ll know that she’s fab at helping you achieve your skin goals. That said, she’s not a one trick pony, she can also help you with waxing and electrolysis, massage and nail treatments. We can thoroughly recommend having her on your team! If you haven’t yet visited the Woman new Nelson spa premises, be sure to book your appointment. Give us a call, and we can help you find the right therapist if you don’t already know who you’d like!